Despite the shift in majority in the House, staff members believe the reauthorization of the Elementary and Secondary Education Act (ESEA, currently known as No Child Left Behind) could move forward. Rep. Kline (R-MN), chairman of the House Education and Workforce Committee, has stated the reauthorization may come as a series of smaller pieces rather than as comprehensive legislation. House Democrats believe continued bipartisan support for changes to the law could result in legislative action, but haven’t made a definitive statement about the form they prefer. Speaker of the House John Boehner (R-OH) may have a personal interest in seeing this bill to completion. When No Child Left Behind was signed into law in 2002, Boehner was chairman of the Education and the Workforce Committee and worked closely with ranking member George Miller (D-CA) and their counterparts Senators Ted Kennedy (D-MA) and Judd Gregg (R-NH) to craft the bill. He cares deeply about education and is seen as someone willing to negotiate to reach positive solutions on this issue. And now he is in the position to set the House agenda and decide which bills will receive consideration in the full House. Efforts to reauthorize the law also continue in the Senate. Staff to Majority Leader Reid (D-NV) and Senator Harkin (D-IA), chairman of the Health, Education, Labor, and Pensions (HELP) Committee, says the ESEA reauthorization is the best opportunity to declare a bipartisan victory in the 112th Congress, and work and negotiations to that end continue. One critical factor impacting possible passage is the degree to which healthcare reform Ã¢â‚¬“ repeal or revisions Ã¢â‚¬“ will occupy the committees. Since the Senate HELP Committee also has jurisdiction over healthcare, a prolonged debate on those issues could delay or derail the chances for ESEA reauthorization. The chairmen and ranking members of two key committees have been announced. Representative John Kline (R-MN) will chair the House Education and the Workforce Committee (known as Education and Labor in the last Congress). The ranking Democrat will be George Miller (D-CA), who served as chairman in the 111th Congress. Representative Denny Rehberg (R-MT) will chair the important Appropriations Subcommittee on Labor-Health and Human Services-Education, and Rep. Rosa DeLauro (D-CT) will serve as ranking member. Republican members of the Education and Workforce Committee are as follows: Barletta (PA); Biggert (IL); Bucshon (IN); DesJarlais (TN); Foxx (NC); Hanna (NY); Heck (NV); Hunter (CA); Kelly (PA); McKeon (CA); Noem (SD); Petri (WI); Platts (PA); Roe (TN); Rokita (IN); Thompson (PA); Walberg (MI); Gowdy (SC); Roby (AL); Ross (FL); and, Wilson (SC). Republican members on the Labor-HHS-Education Appropriations Subcommittee are as follows: Lewis (CA), ex officio; Alexander (LA); Kingston (GA); Granger (TX); Simpson (ID); Flake (AZ); and Lummis (WY). Democratic members of these committees had not yet been named at the time this article was written. LDA will provide those names as soon as they are released. 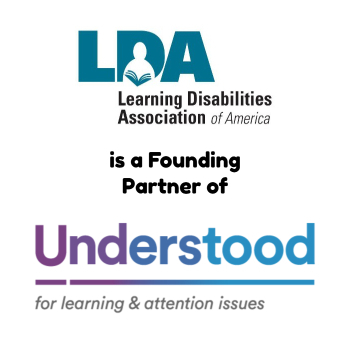 LDA members who are constituents of these important members can serve as excellent resources to the Representatives on issues related to specific learning disabilities. More information will be provided at the National Conference in Jacksonville on how to establish these relationships, so we hope to see you all there! In late December Congress passed a Continuing Resolution (CR) to keep the government operating until March. That legislation includes a restatement of a controversial regulation of the No Child Left Behind Act which allows teachers in training to be considered “highly qualified.” In September, the Ninth Circuit Court of Appeals ruled this regulation violated the NCLB requirement that highly qualified teachers hold state credentials. Then-Chairman Miller (D-CA), House Education and Labor Committee, and Chairman Harkin, Senate HELP Committee, said the “highly qualified” definition needs serious deliberation, but making a change before the reauthorization of ESEA could cause serious classroom disruptions. 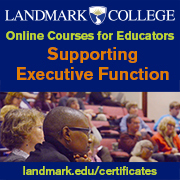 Opponents of this regulation maintain these non-certified teachers, individuals who are in state-approved training programs and making progress toward state certification, are more often found in high-poverty schools and working with students with disabilities and children with limited English proficiency. These groups of students particularly need the most experienced, well-trained teachers who are prepared to meet their specific learning challenges. Opponents note what Congress has portrayed as a temporary solution Ã¢â‚¬“ maintaining these teachers in their current classrooms to avoid disruptions Ã¢â‚¬“ could, in the end, continue on for several years, depending on the speed at which Congress is able to pass a reauthorization of the Elementary and Secondary Education Act (ESEA). 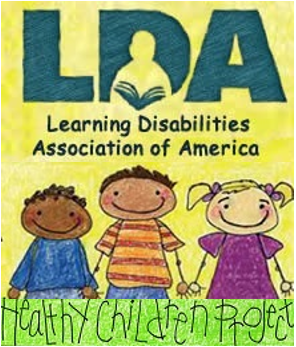 LDA signed on to a letter with other members of the Consortium for Citizens with Disabilities urging Congress not to include this provision in the Continuing Resolution; however that effort was not successful. To continue to fight for highly qualified teachers in every classroom, LDA is participating with other disability and teacher organizations in conversations with congressional staff to see how best and how quickly this issue can be addressed. More information is available in the Feburary 2011 issue of News-in-Brief.